Zika virus is an arbovirus transmitted by the Aedes aegypti mosquito, but it can also be transmitted by sexual contact and blood transfusion. Adult patients infected by Zika usually present only mild symptoms over a few days, such as rashes, conjunctivitis, arthralgia and mild fever. 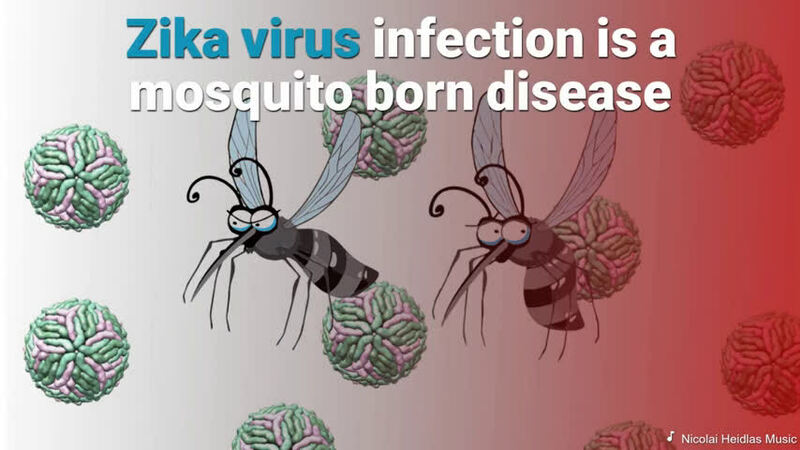 However, the outbreak of Zika virus in Brazil in 2015 first showed the world that Zika infection can have devastating consequences for pregnant women and their fetuses. 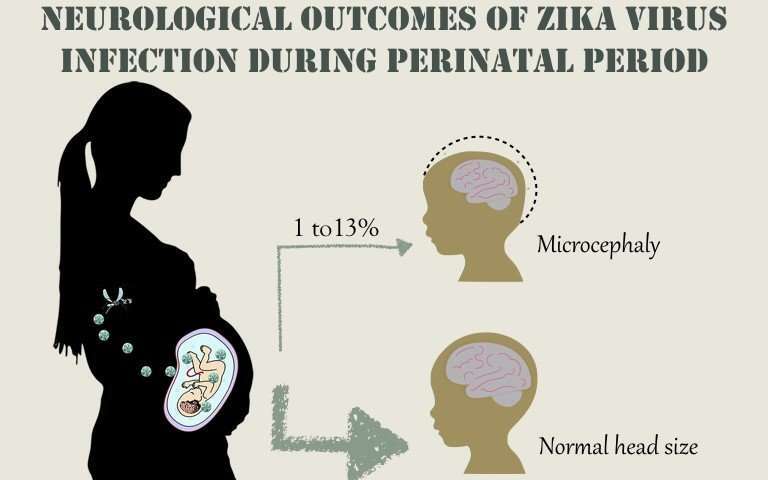 At the time of the outbreak, the association between microcephaly and Zika infection during pregnancy was demonstrated. A little later, it was observed that even babies born with normal-sized heads can later develop symptoms associated with congenital Zika virus infection. Today, the oldest children of the Zika virus outbreak are three years of age, and no one can foresee the long-term consequences these children may still suffer. Mindful that the full spectrum of the harm associated with Zika virus infection may be underestimated, Brazilian neuroscientists Julia R. Clarke and Claudia Figueiredo teamed up with virologists Andrea Da Poian and Iranaia Assunção-Miranda, all from the Federal University of Rio de Janeiro, and developed a mouse model to investigate the many potential long-term symptoms of congenital Zika virus infection. The investigation also offers a new hope that an FDA-approved drug may be effective against some of the neurological symptoms seen in patients. Using mice infected with Zika virus shortly after birth, the group was able to observe several early and late symptoms associated with early infection with Zika virus. These symptoms include weight loss that is not recovered in adulthood, cognitive deficits, and long-lasting impaired motor function. Memory and sociability of adult mice were also affected, which may be linked to observations made by other researchers that viral exposure shortly before or after birth may be associated to late development of autism and schizophrenia. The group also observed that, like infants exposed to Zika infection while in the womb, young mice also had spontaneous seizures. While most mice did not have seizures right after birth, by day nine after infection, 65 percent had experienced seizures, and by day 12, over 90 percent of mice showed seizure episodes. Interestingly, when animals reached adulthood they no longer had seizures. 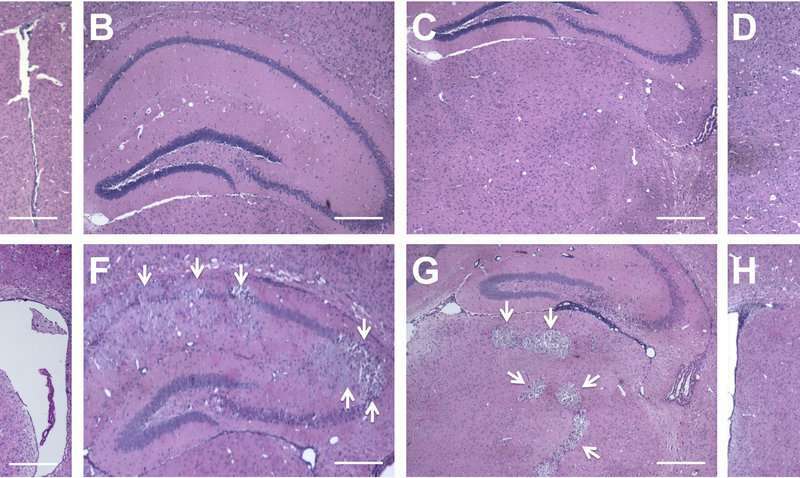 Nevertheless, adult mice were still prone to seizures provoked by chemicals, indicating that even though the spontaneous seizures may have been resolved as animals grew older, the brain damage associated with Zika is permanent. The time of seizures and that of virus replication in the mouse brain overlap, indicating that the seizures may represent the body's response to virus activity. Another important observation made by the group is that the virus still replicates in the brain when animals reach adulthood, even though most symptoms have been resolved. The peak of viral replication in the brain was associated with an abundance of molecules that mediate inflammation. One of these molecules is tumor necrosis factor alpha, or simply TNF-α, a molecule closely linked to episodes of acute inflammation in the body. A number of FDA-approved drugs exist that have the specific role of inhibiting TNF-α as a strategy to hold back the body's acute inflammation response, as in many cases, the abrupt response can destroy normal tissues and have harmful effects for the body. The group used infliximab, a TNF-α inhibitor, to investigate whether it would halt seizures in young mice if administered shortly after infection. Sure enough, by day 12, infliximab had reduced significantly the number of seizures in young mice, and most animals had responded well to the drug. "Young mice responded very well to the TNF-α inhibitor. We found that some animals had a 50 percent reduction in the number of seizures, on average. Also, adult animals were no longer susceptible to drug-induced seizures," reports Julia Clarke. Infliximab is a drug currently used to treat a myriad of autoimmune diseases and is safe for use during pregnancy, if necessary. The new study, titled "Acute and chronic neurological consequences of early-life Zika virus infection in mice," is published in the renowned journal Science Translational Medicine, and offers new hope for the public health crisis that has arisen in countries affected by Zika virus.